The two banks will collaborate on investment advisory and other finance solutions. 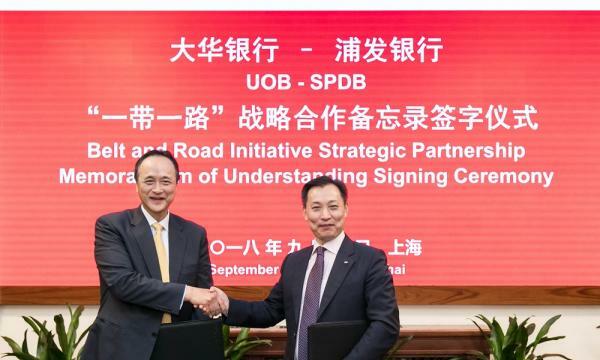 UOB signed a memorandum of understanding (MOU) with Shanghai Pudong Development Bank (SPD Bank) to collaborate on opportunities arising from the Belt and Road Initiative (BRI). The bank aims to tap on the trade between China and countries along the Belt and Road that has reached US$5t in the last five years. Under the MOU, UOB and SPD Bank will collaborate to provide companies with financial solutions covering investment advisory, cross-border renminbi transactions, syndicated loans, project and trade finance and cash settlement. 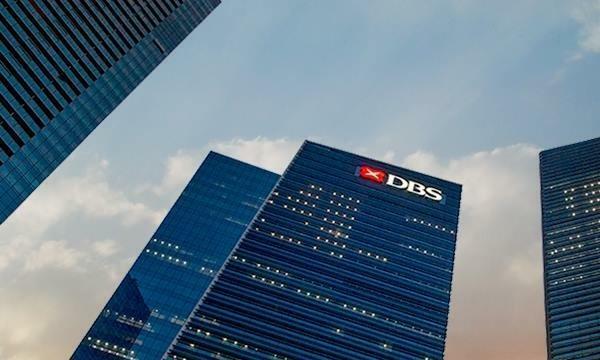 SPD Bank and its clients will also be able to connect with UOB’s foreign direct investment ecosystem partners for advisory services in areas such as investment incentives, local regulations, tax, company incorporation, and legal matters. The two banks will also strengthen the interbank business such as lending and deposits. They will connect start-ups with financial technology ecosystems to help them access alternative financing such as venture debt from InnoVen Capital and equity crowdfunding through OurCrowd.